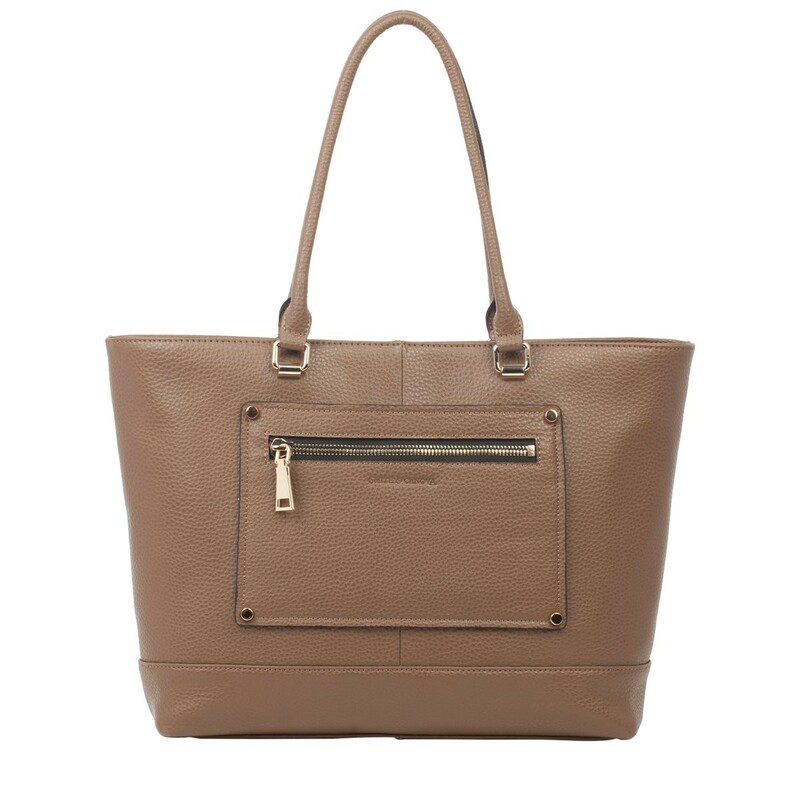 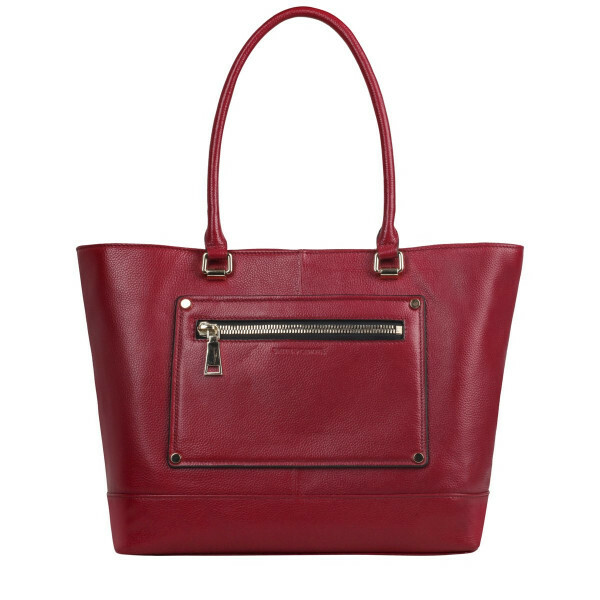 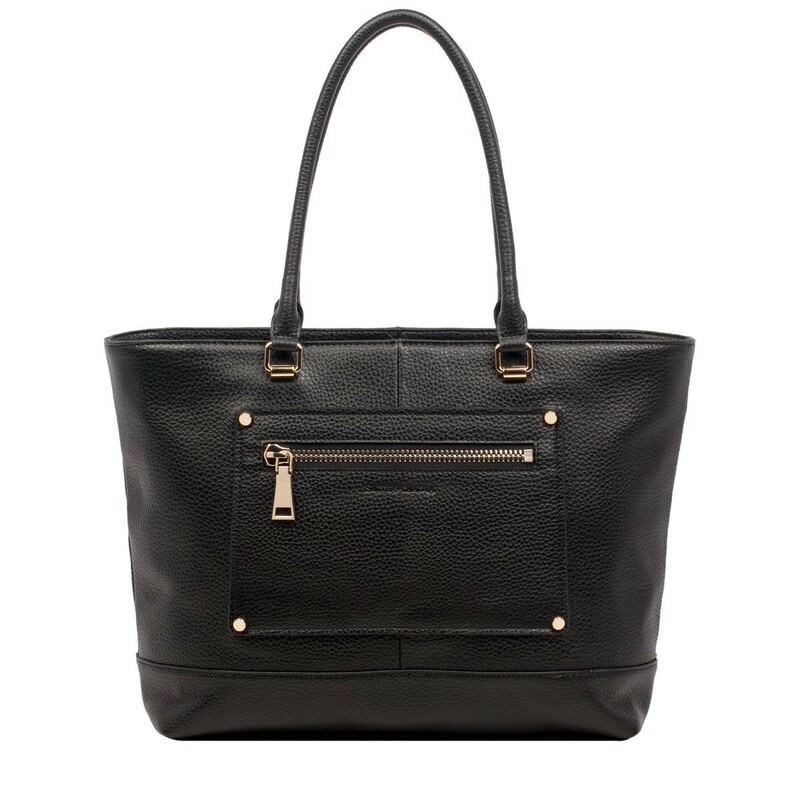 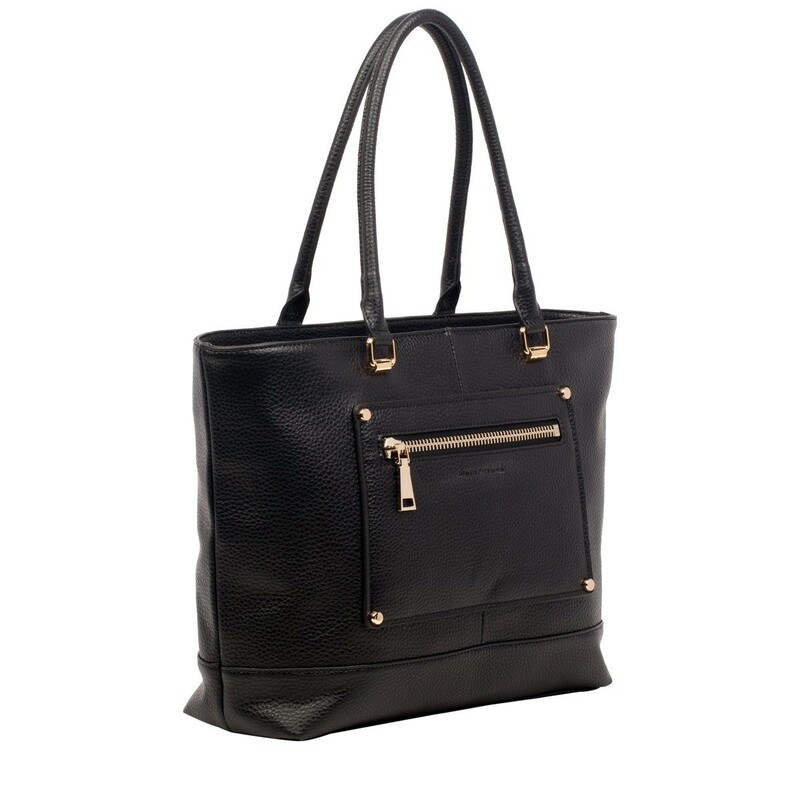 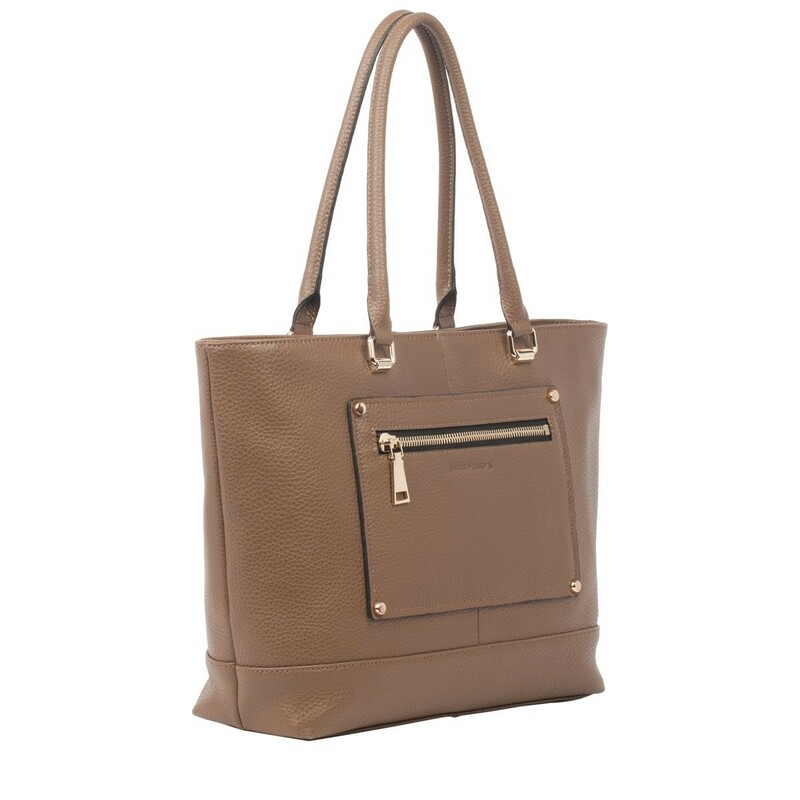 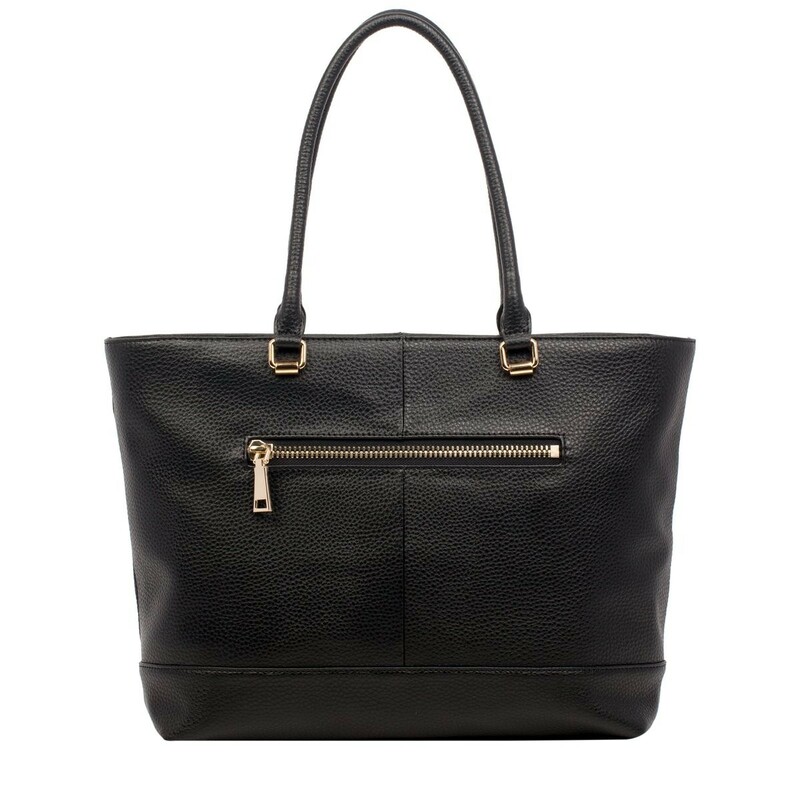 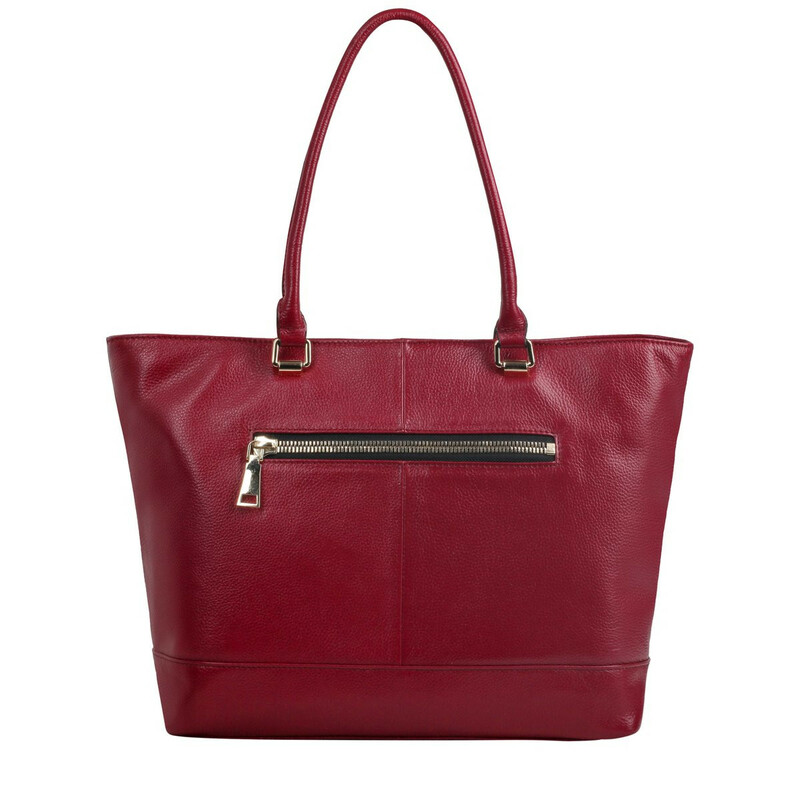 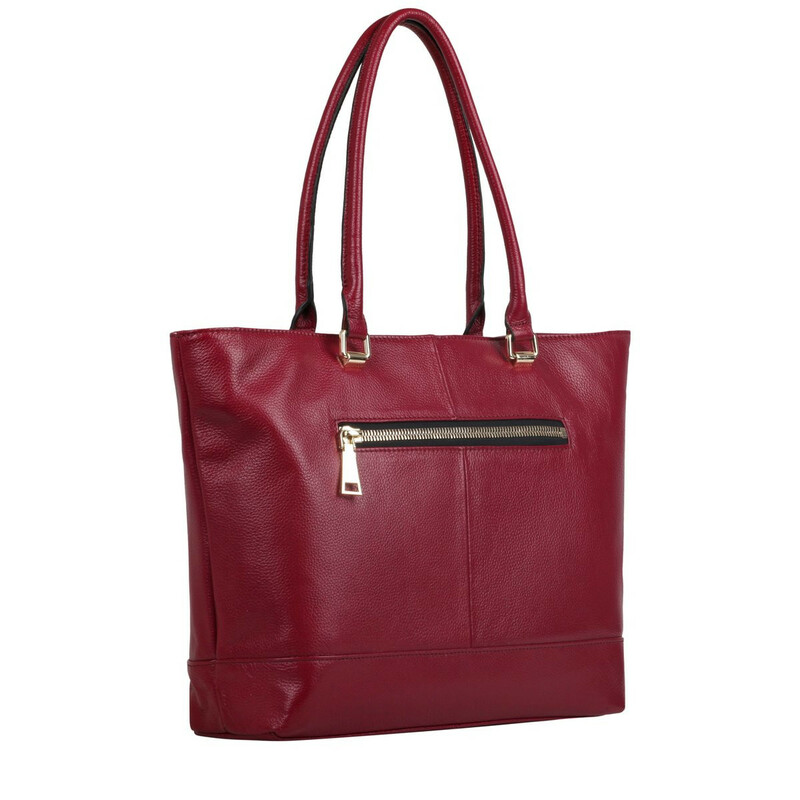 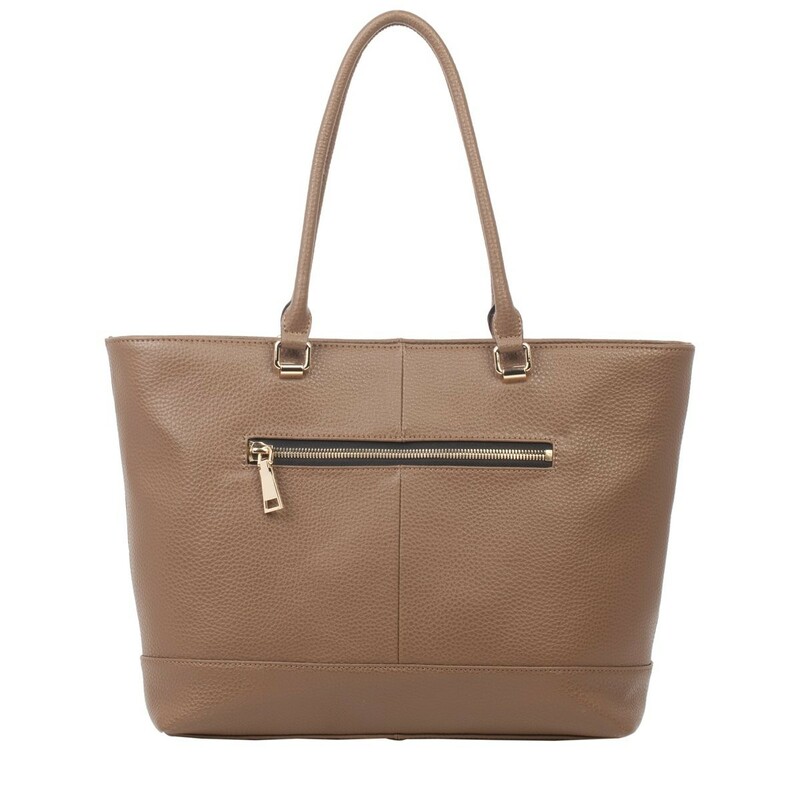 Made with soft pebbled leather, this tote bag is the ultimate accessory to carry your valuables in style. 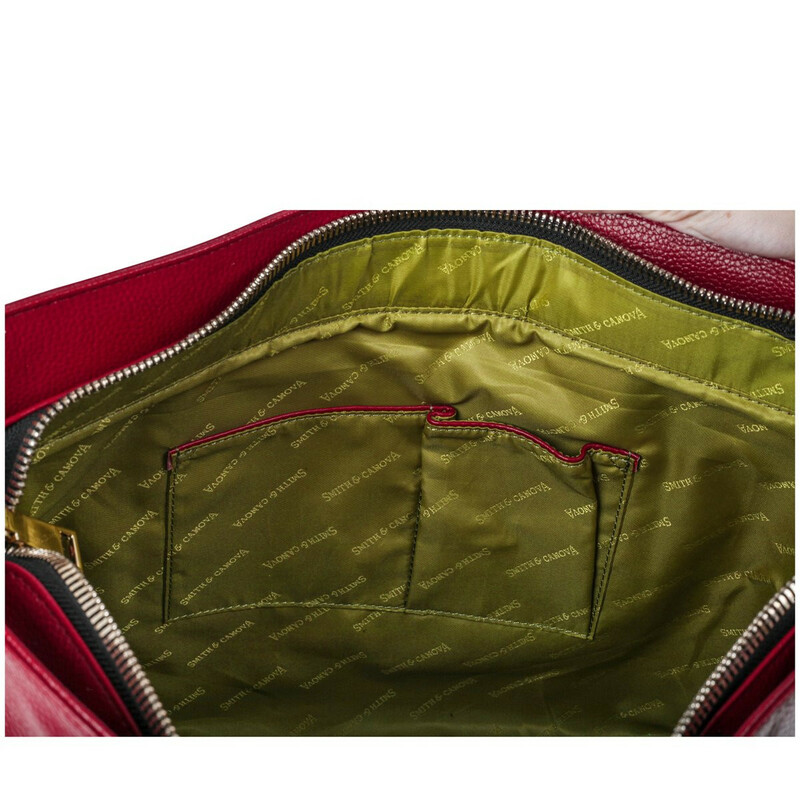 The front zipped pocket adds a point of interest and the gold studded detail glams up the look. 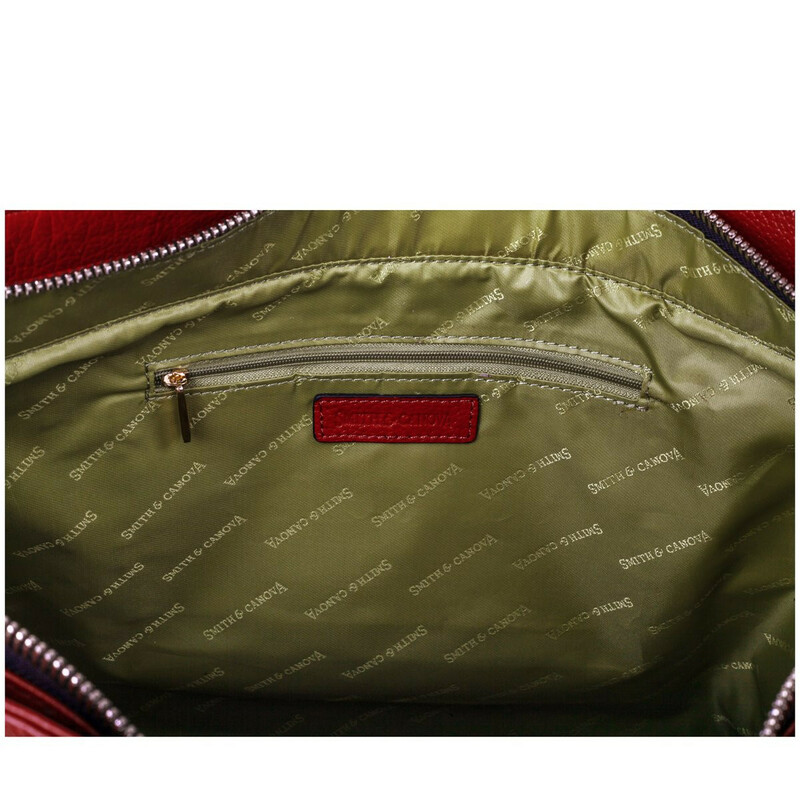 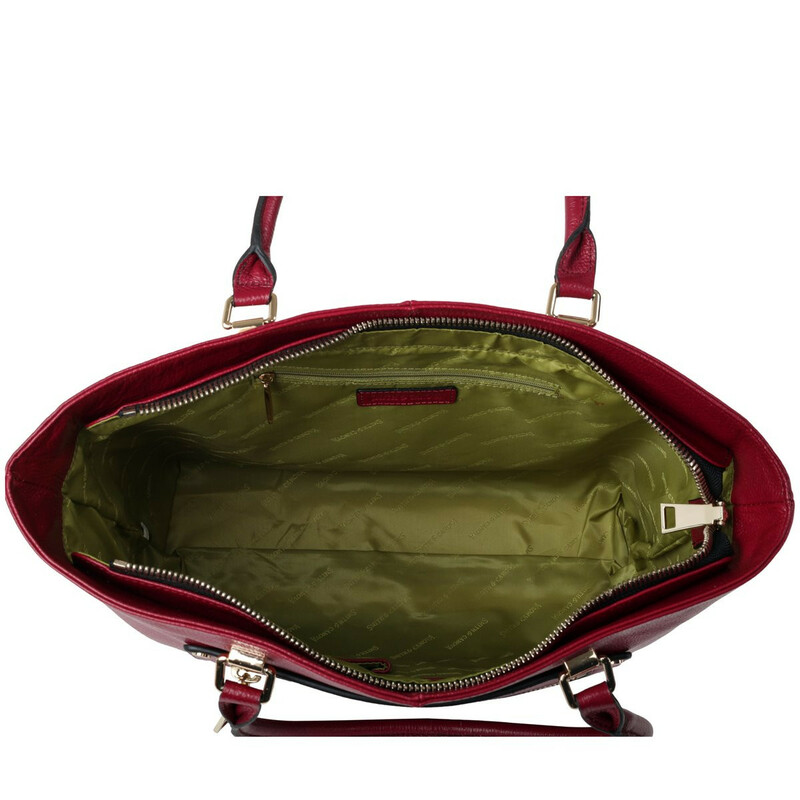 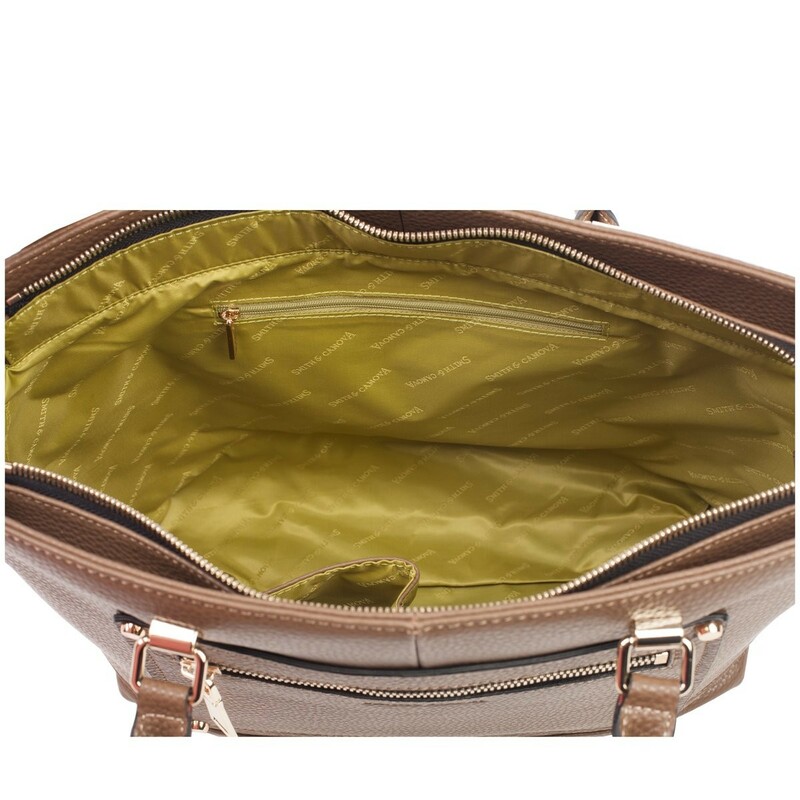 The spacious interior is big enough to hold your daily essentials and with handy zip and slip pockets you can store smaller valuables.